Depression is not a one size fits all disease, and it isn’t just feeling sad. Instead, it is a rather complex diagnosis that can be revealed by many different characteristics. 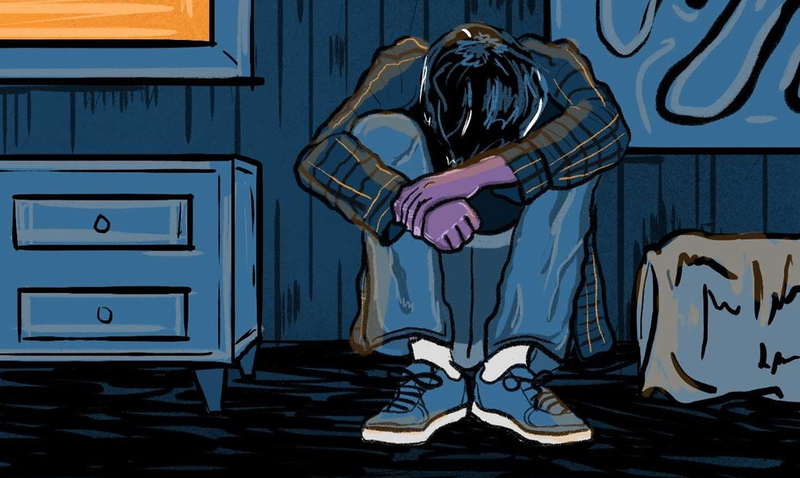 What depression might look like for one person might not be the same for another. While many assume that those suffering from depression are sad, hopeless, lazy people who refuse to get out of bed most function quite properly within reason. Sometimes depression makes it impossible to get out of bed but other times it might just make a person feel as though they’re falling apart on the inside while everything looks normal on the outside. You might not ever see a single tear fall from their face but it doesn’t mean they’re not screaming for help and crying for this to stop. Depression can look like a lot of different things and depending on the person you might not even see it until it is far too late. Depression does not come in a one size fits all option. It is something that touches us in a unique way each time. Just because you don’t see it doesn’t mean it isn’t there. Some people are just really good at putting on their masks and acting the way that they think they are supposed to. Depressed people are often those come across as the happiest. They tend to be the people that go out of their way to help others. Don’t ever assume you can spot depression, it’s not that simple. While you might be able to spot a change, that change could mean anything. Depression is might keep some people in bed but it won’t keep them all there. The truth is, even when someone is bursting at the seams most of us won’t look close enough to notice.